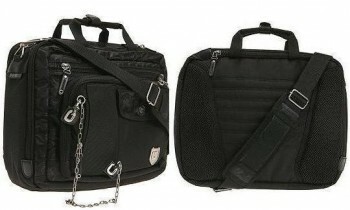 Burton laptop bag is a product of top quality – it is perfectly made not only to protect your laptop, but to show your personality with its unique design. It should be your first choice if you want to choose from a large variety of functional, durable, versatile and stylish first class accessories. Burton laptop bag is a modern day tech that sends a message. And that’s why we love it. The company started in 1977 by Jake Burton and was producing snowboards. Today the company has expanded enourmously and produces clothing, accessories and travel gear as well. Let’s take a closer look at what Burton as a brand has to offer when it comes to what we’re focusing on, and why it’s worth the investment. First of all, it’s suitable for men and women of all ages and preferences. Whether you’re a college student wearing a Burton Tinder Pack, a DJ carrying The DJ Laptop Bag (which carries up to 25 records and all DJ accessories), a woman sporting a Burton Women’s Day Hiker 23L or a Burton Kayla Laptop Tote, which is a laptop shoulder bag – you won’t go by unnoticed, nor will your laptop ever end up with a scratch. The product is made of high quality materials. For example, if you’re a student who needs a backpack for school, work and travel, of course you want the material to be sturdy and long-lasting. Some models even stretch to fit and protect your computer. Most Burton products are made of neoprene, polyester and synthetic waterproof fiber and have a lifetime warranty, which ensures you get your money’s worth. One more reason to buy it is its practicality. You can choose between different models. Backpacks in which you can carry your phone and other things you need with you all the time, (for example, if you’re a skateboarder, you can even fit your skateboard in your backpack), a different type of model, such as the Burton Synth Laptop Messenger is very light, and features a main compartment with lots of storage space and two zippered pockets under its flap for smaller items, as well as a padded adjustable shoulder strap. All models are well-constructed and compact, to ensure that your laptop, your digital source of contacts, news and data is protected. All these features make them really fun to carry. And cool! A lot of users say they received many compliments on their stylish appearance. Where Can You Buy Burton Laptop Bag? By now you’re probably wondering: where can I buy Burton laptop bags and how much do they cost? The answer is it depends. You can find them online all across the web. The prices vary, and you can always count on discounts. But roughly, prices range from a 34,95 dollars worth Burton 15in Laptop Sleeve to a Burton Bruce 22L Laptop Backpack-1343cu in worth 94,95 dollars. The prices reflect an affordable quality. So, to sum it all up: if you want your computer safe and sound, this laptop bag is the safest bet. Your digital pet deserves some pampering. Our suggestion would be – do it with a Burton laptop bag. Spy cameras for home – why to buy them? Cheap Fax Machine – best quality for the money!